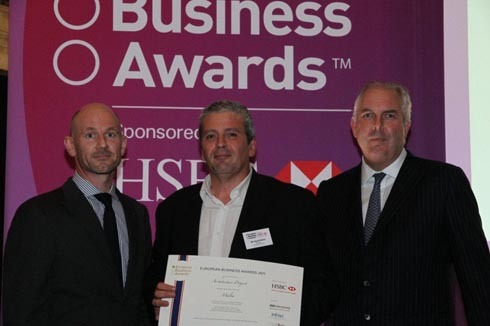 AP was declared one of the fifteen semi-finalists representing Malta in the European Business Awards 2011, sponsored by HSBC. The first round of judging to determine the winner of the Country Representatives will take place on the 22nd of July, whilst the final category award winners will be unveiled in Barcelona on the 22nd of November 2011. The European Business Awards has identified some of Europe’s brightest businesses based on their ability to demonstrate the three core principles at the heart of the Awards programme. The panel of judges were looking for organisations who exhibited quality in innovation, business excellence and sustainability to represent their country. The European Business Awards are dedicated to raising the visibility and progress of companies who excel in delivering innovation paired with successful commercial results whilst acting responsively and positively affecting the social environment they operate in.